Terry Kobus is exhibiting his latest solo art show entitled “SQUARED” at Upstairs@Bamboo. The Bamboo Gallery is located at 53 Rustenburg Road, Melville, Johannesburg. The exhibition runs for four days only from 06 to 09 October 2011. The opening reception is at 18h00 Thursday 06 October. 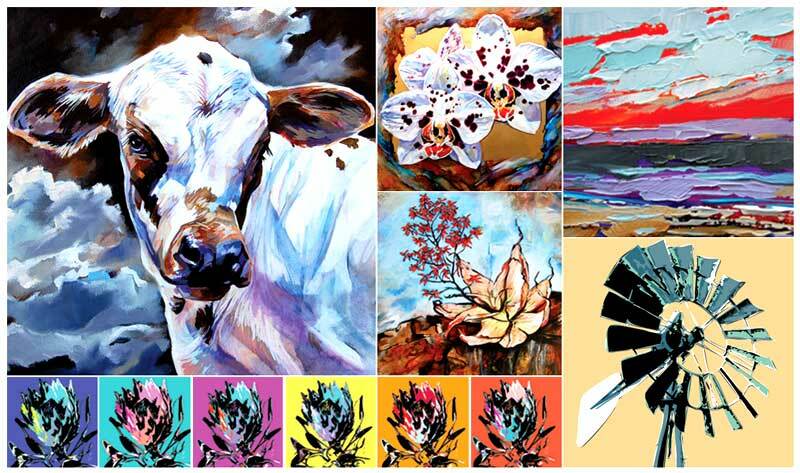 Bamboo Gallery is open daily 09h00 – 17h00. “Squared” is the latest exhibition of paintings by Terry Kobus and his fourth annual solo exhibition at Bamboo Gallery. 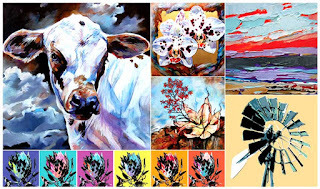 Works derived and inspired from various aspects of the extraordinary beauty of his hometown Hermanus and its surrounds, this vibrant exhibition of more than 50 new works showcases this artist’s passion and unique talent. Following on with themes from his previous shows, including his much loved Nguni Cattle and indigenous livestock, Terry now investigates the square format in various sizes from miniature jewel like works to large impressive pieces. All reveal his strong painting of the surrounding land and seascape, alongside other studies. Many of the images are complete miniature paintings themselves, yet also form the starting point for larger works. He explains that the: ‘smaller works contain vital information and source material; the basis for much of my work.’ When asked what kind of painter he is Terry replies, "I am a Colourist at heart; unexpected colour always excites me." The artist will be available daily during the show to discuss his inspiration, vision, style and views.